Football Against the Enemy was a very interesting, very well written book. Simon Kuper, also the author of Soccernomics and Soccernomics 2018 (the World Cup Edition), is obviously a fan of the sport, a deep thinker of the game, an astute observer of human behaviour, and a good wordsmith. He wrote of one wanting to decipher the nature of the football wonder. That it’s not just a working class sport watched by hooligans was a point he wanted to expound on. The dangerous element Simon Kuper refers to here is that soccer has been known to make wars and revolutions. In 1988, more than half the population of Holland took to the streets when they won over Germany. Because of the heroics of their national soccer team, the military government of Brazil, in its day, stayed in power a few years longer. Kuper also alluded to the football war between El Salvador and Honduras, notoriously referred to as the ‘Soccer War’ or the ‘100 hours War’. This incident, by the way, in itself, deserves a whole book! Honduras and El Salvador were vying for a spot in the FIFA World Cup 1970. In the first game in the Honduran capital of Tegucigalpa, Honduras won 1-0. Violence broke out. In the second game in the El Salvadoran capital of San Salvador, El Salvador won 3-0. More violence ensued. A play-off match later took place in Mexico City. El Salvador won 3-2 after extra time. That same day, El Salvador dissolved all diplomatic ties with Honduras and then proceeded to invade Honduras. Why am I digressing on the 100 hours war? Because this is one of the beauties of reading a really good book. 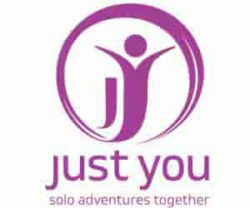 It compels you to check out further details on information it brought to your attention. In the pursuit of answers to these in his book, Simon Kuper travelled to twenty two countries (including those that have since dissolved into other guises e.g. Holland, Yugoslavia etc) in nine months. Football Against the Enemy is thus like a travel log, looking at cultures and their history, to understand the type of football players they produce. It is part sociological, part history, part travel and part cultural study. Do I recommend it? Yes. Should you read it? 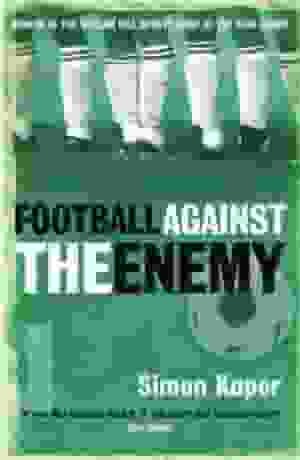 Football Against the Enemy was Simon Kuper’s first published book. He later followed this up with other titles like his Soccernomics editions. In these, he looked at the various aspects of soccer from an economics and statistical angle and then expounded on topics like why England doesn’t win football world cups; and the economic benefits of hosting a world cup. This should give you an idea of the type of sports books Simon Kuper has written. Read more review snippets we’ve done on other sports books. 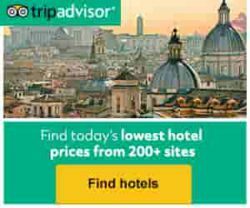 Direct links to Football Against the Enemy in this article (and any titles anywhere on this website) are not necessarily the cheapest. The links were chosen either because it was the exact edition that I read, or it is a limited edition, or I just grabbed the first convenient edition. I strongly suggest you browse round the Booktopia site to get the edition that would suit your reading budget or aficionado proclivities. Some may even have e-book versions. You can also search online but I would really prefer you ordered from anyone other than Amazon. The merchant world of books must be presided over by booksellers who are lovers of stories and books and nurturers of man’s flights of fancy and musing. Their literary emporiums and wares must not be made obsolete by an online mall-type provider that pays minimum to its workers and affiliates. If it’s a bargain you’re after, just borrow a free copy from your local library. Public libraries have my greatest respect for providing one of life’s greatest pleasures, freely. When it is not in their catalogue, public libraries have never failed me in ordering the edition I request. As an american, we are spread between too many sports. In other countries, your football is a national sport. I can see why the sport of football and politics go hand in hand. Looks like this book looks into more than the game. I have lived and visited many other countries that football is a way of life. Thanks for the details of this book. Incidentally, Football Against The Enemy was renamed Soccer Against the Enemy in the US. It is inevitable that any sport that dominates in a country will have an influence on the politics of that country. It’s not inherent to the sport of football. Football is the giant in most countries, but there is also cricket in India and its neighbours, and rugby in New Zealand. In Canada we call this soccer, not football, that is another sport, lol. I have played some soccer, years ago, but not much. Reading this gave me a lot more insight into the sport. People really love the sport of soccer especially in Brazil. “Football against the enemy” sounds like an interesting book to read whether you are into football or not. Yes, definitely worth reading even if you are not a soccer fan. If you like travelogues or reading of socio-economic influences on a people, sports, country, then it’s an insightful read. Football is called soccer anywhere there is no major sport with the word football in it. Such as Canada, the US, parts of Ireland, Australia and New Zealand. This is a really a good book, very difficult to put down. All of the chapters were very interesting. As a Soccer fan, I enjoyed the chapter on the Old Firm and his non-involved, outsider’s perspective was both amusing and illuminating. The book is now quite a few years old, there are some political realities that have changed considerably, but it doesn’t detract from how well Simon Kuper captures the times and places he documents. Yes, it was an excellent read. Some things have changed since he wrote it but they still mostly hold true, as you say. Glad you enjoyed the book. Some people may not like his style but I did, very much. It was more the personal and colourful anecdotes that I found interesting, such as meeting Cameroon World Cup legend Roger Milla and going to the dentist with Helenio Herrera. I continue reading him to this day in the Financial Times and when he came out with Soccernomics a few years ago. Great Article, the Honduras-el Salvador football war is absolutely nuts, even if the football games actual impact was a little exagerated It is incredible how passionate fans are for their football sides. Argentina and England still take shots at each other regularly over Maradona’s hand of god goal and that was 30 years ago. Yes,and older Argentina and England fans still argue over the sending off of Rattin in 1966 and Alf Ramsey calling the Argentines “animals” and not letting his players shake hands with their opponents after they played in that World Cup. The Falklands/Malvinas war added more spice too, of course. The passion in soccer/football can be incredibly high sometimes, with negative effects, but they are often great unifying and galvanising forces, such as when Iraq won the Asian Cup in 2007.